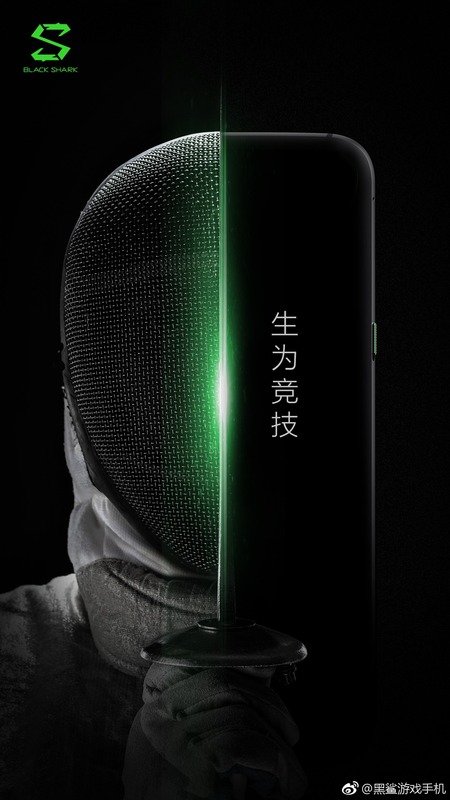 It is now officially confirmed that Black Shark, the company backed by Xiaomi, is set to launch a gaming smartphone soon and a recent teaser confirmed that Snapdragon 845 powers this beast. You might have seen some images revealed recently that showed the phone with a gaming pad, but that is surely not the actual design of the gaming smartphone that Black Shark is launching soon. Today, another teaser posted by the company on its official Weibo page reveals that the phone has curved edges, which means the design is not going to be boxy like the Razer phone. The power button is on the right side and has a textured finish to it, along with green accent. There are no volume buttons on the right so, they are most probably on the right side. The company posted the teaser with the caption – ‘Born to Compete’. There is an event on April 13 where the company is unveiling this smartphone. In the past, the phone was spotted on some benchmarking sites which revealed that it is going to be a very powerful phone. Snapdragon 845 processor powers the Black Shark gaming smartphone and there is up to 8GB RAM along with 256GB ROM. Just like the Razer phone, we expect to see a display with a 120Hz refresh rate. There aren’t details about the full specifications yet so better stay tuned.